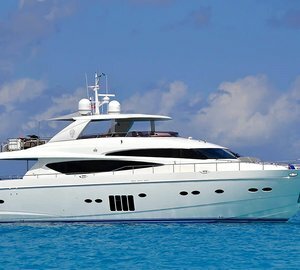 Motor yacht LIVERNANO (ex PRINCESS LILY) is a Princess 95 model measuring 29,42m (96' 6") that was built by Princess yachts in 2010. 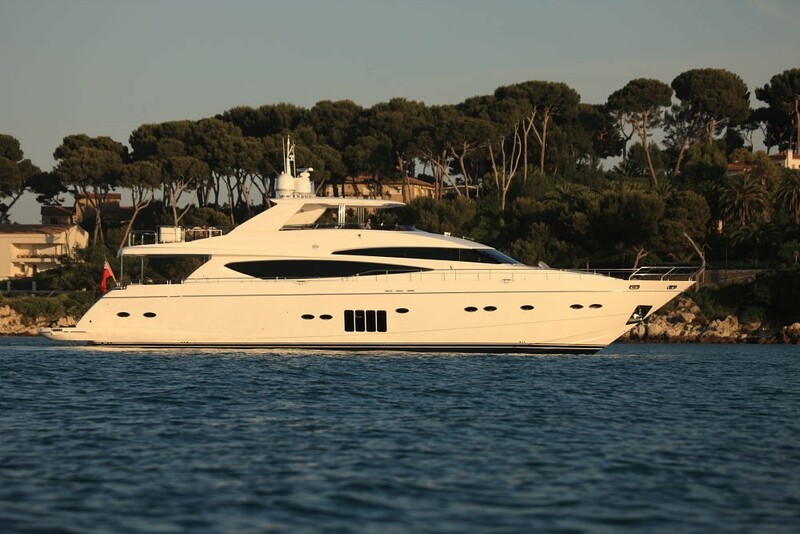 The yacht boasts elegant lines, long-range cruising capability, luxurious fittings and a fantastic interior volume making M/Y LIVERNANO a fabulous charter yacht. 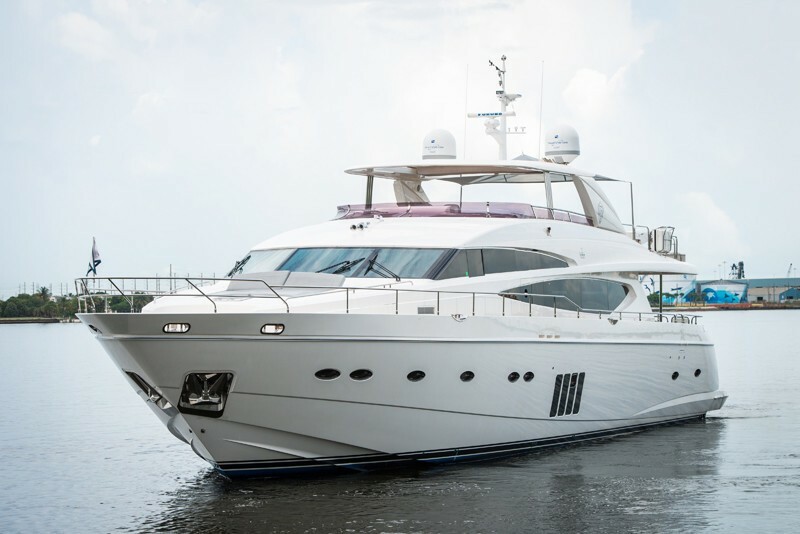 At the time of launch, the 95ft Motor Yacht was the most advanced Princess to be built since the Company’s inception. 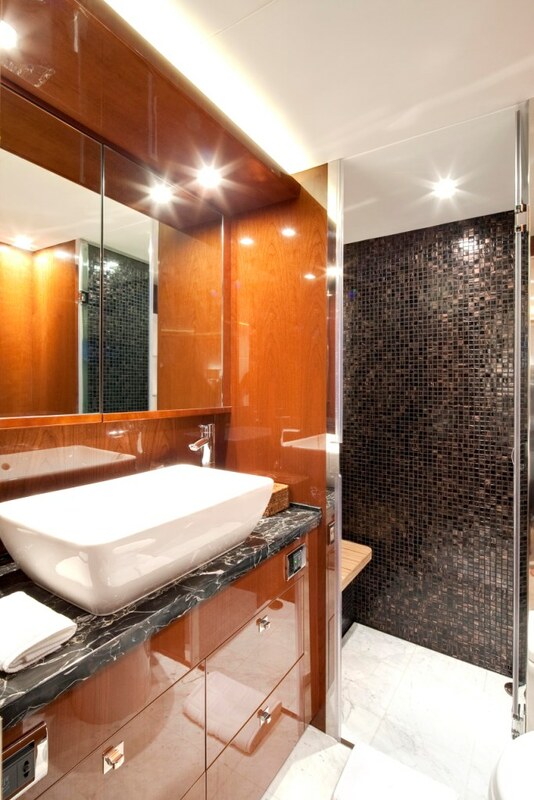 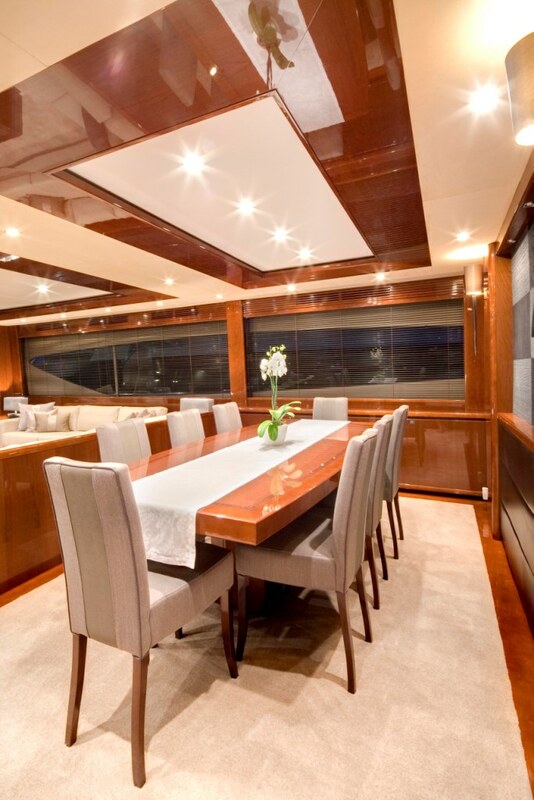 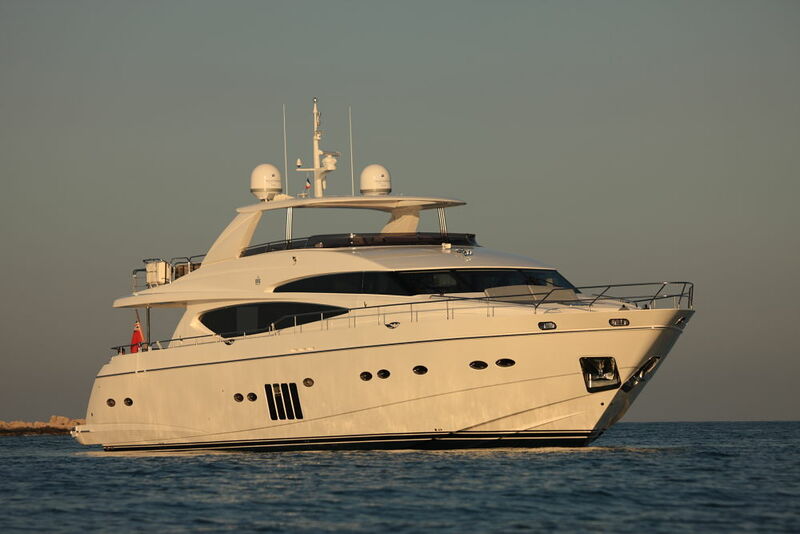 At 95ft, motor yacht LIVERNANO is modern and graceful with a sleek profile with a contemporary edge. 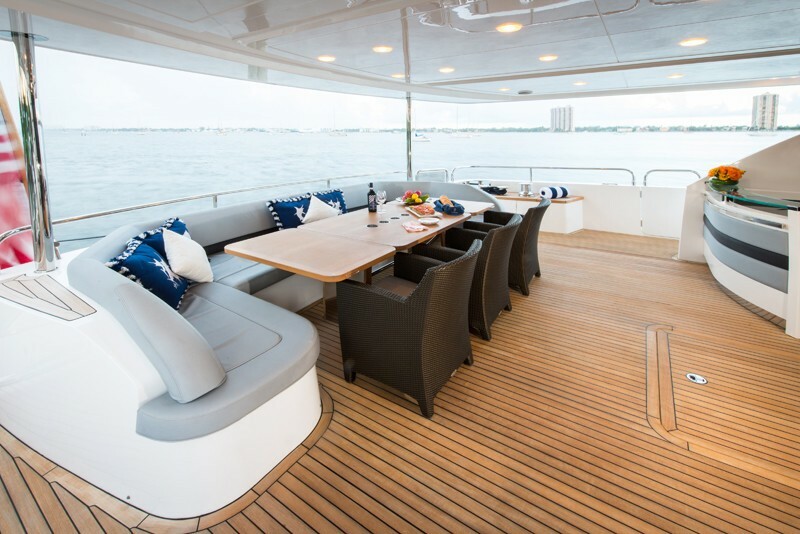 The custom-built deck V hull ensures impeccable sea keeping and smooth, agile handling and her fuel capacity allows extended cruising. 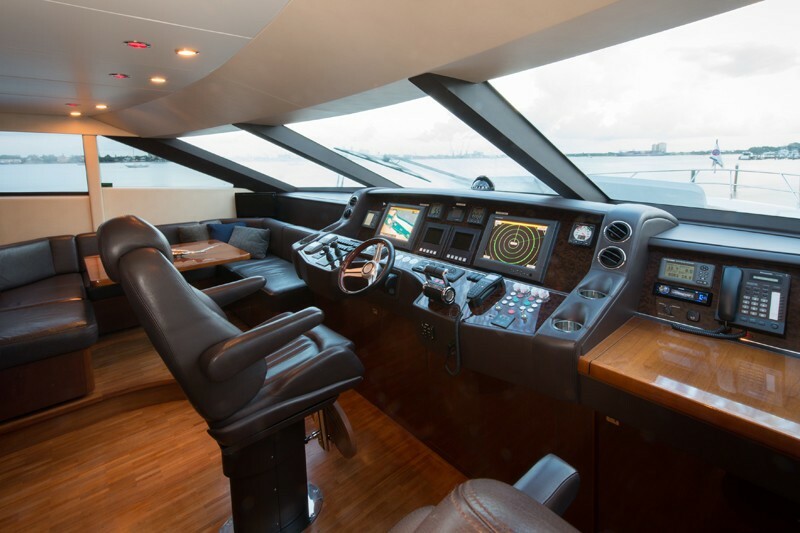 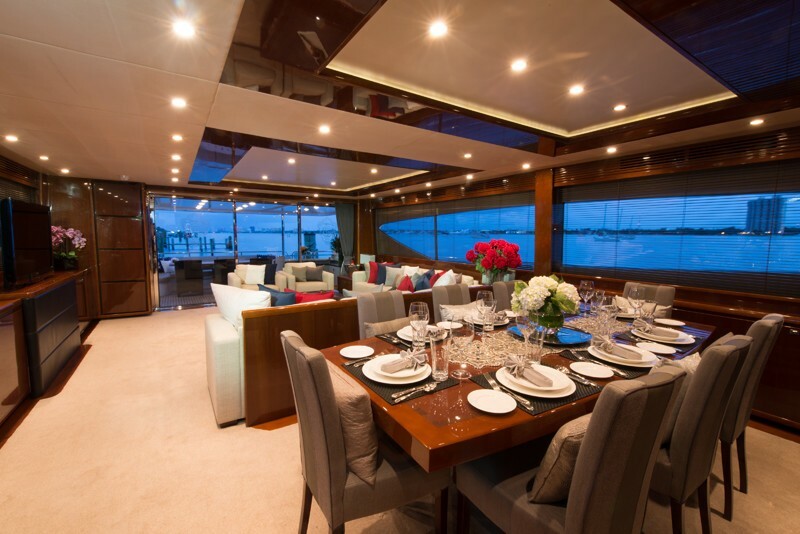 Panoramic windows encourage natural light to bathe the main saloon of the LIVERNANO yacht, giving a feeling of an open space on the main deck which is accentuated by the crisp, contemporary interior design. 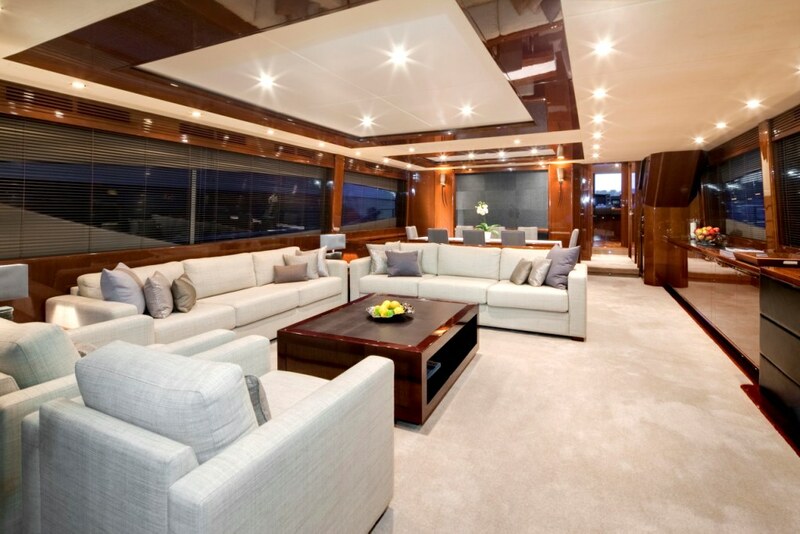 The luxurious salon has two couches and two occasional chairs surrounding a coffee table, positioned well for a great view of the exterior vistas through the large windows as well as the TV and entertainment system. 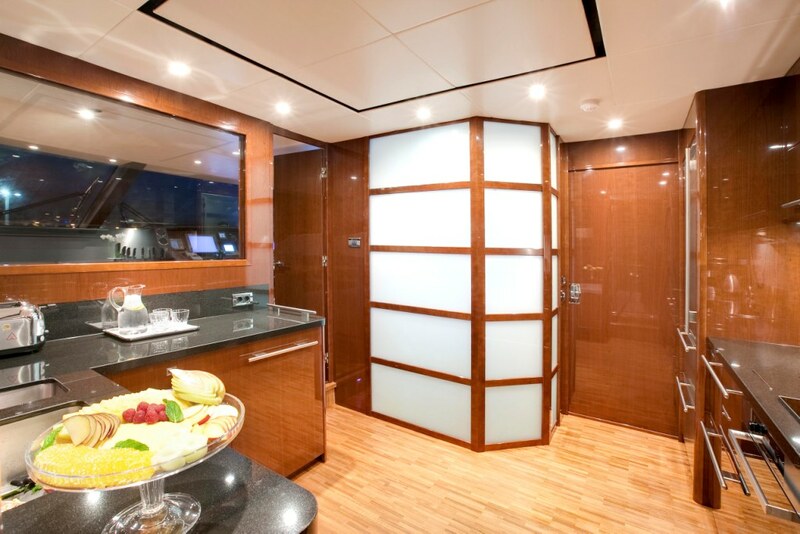 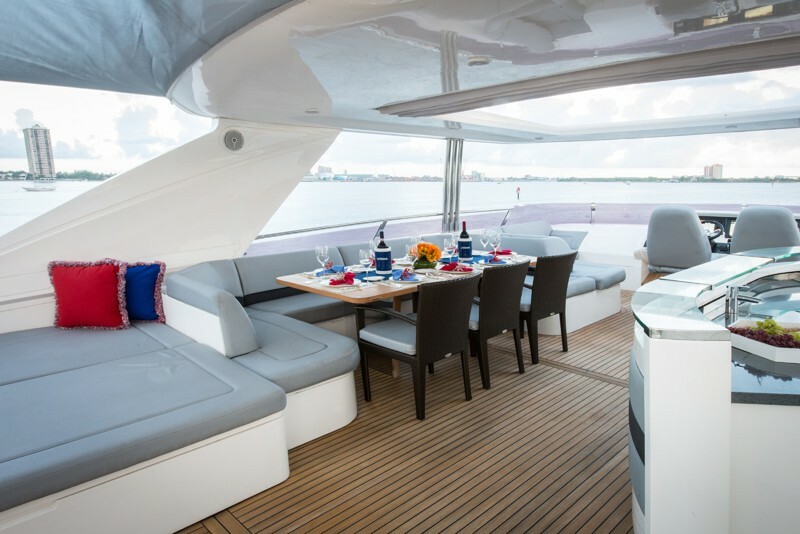 Forward of the comfortable saloon, there is a dining area that can seat up to 10 guests, with a wine cooler and a fully fitted bar close at hand. Luxury yacht LIVERNANO can accommodate up to 8 charter guests in 4 cabins located below decks including a Master king size stateroom, a VIP king size cabin, a Double cabin, and a Twin cabin with lower beds. 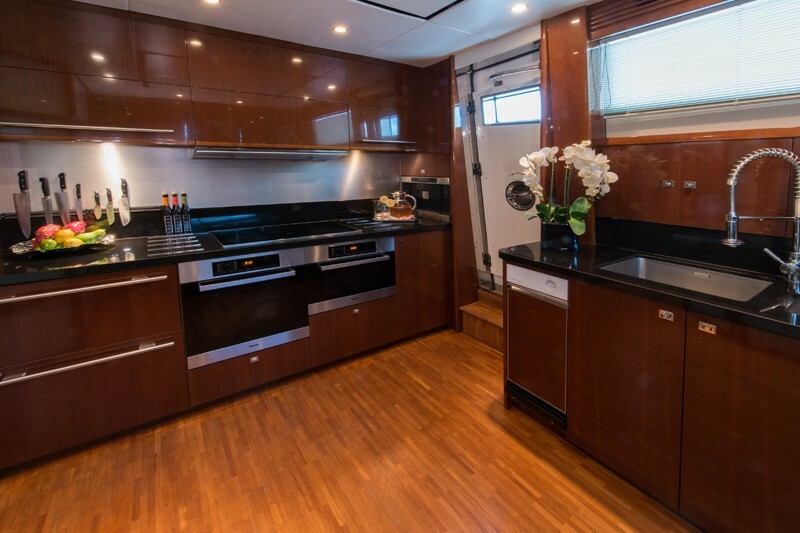 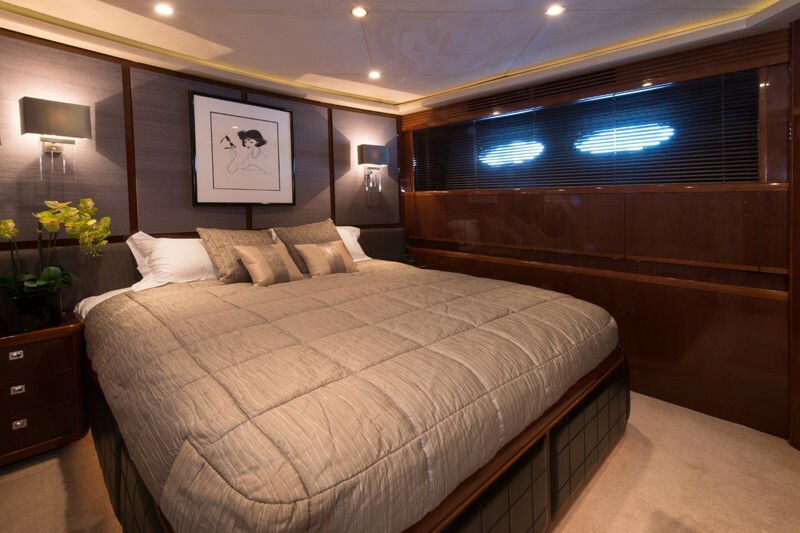 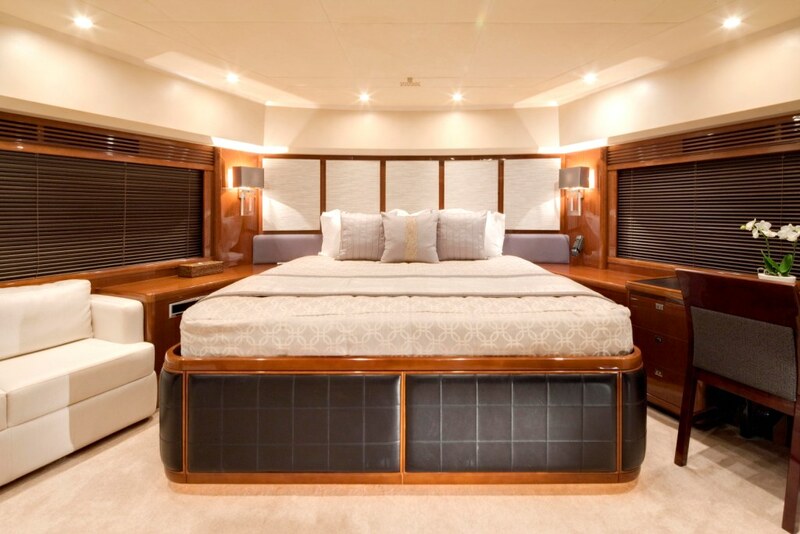 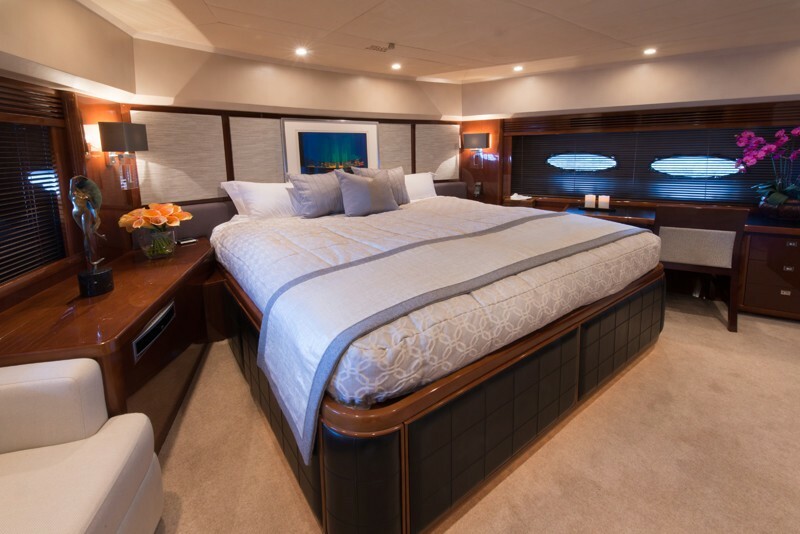 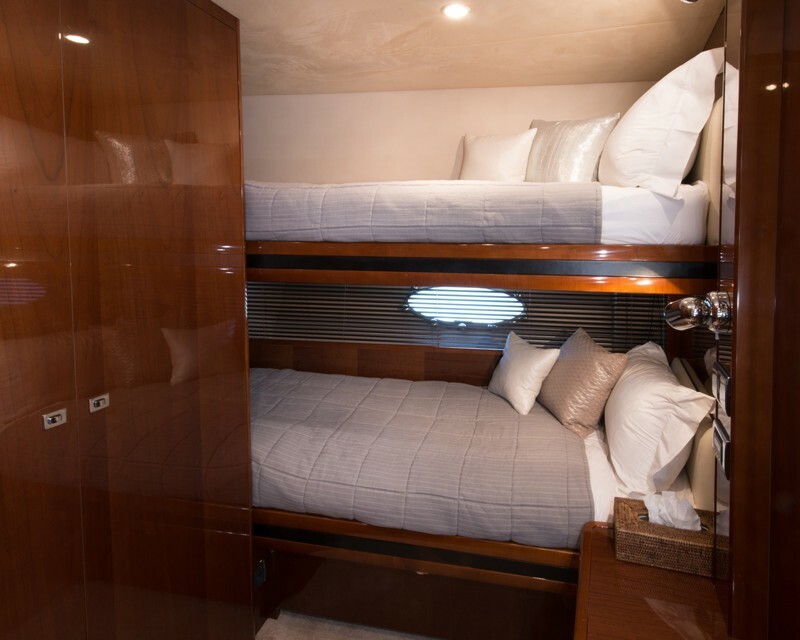 The cabins feature opulent pocket-sprung beds and state-of-the-art entertainment systems and the Master cabin boasts a refrigerator and private breakfast area. 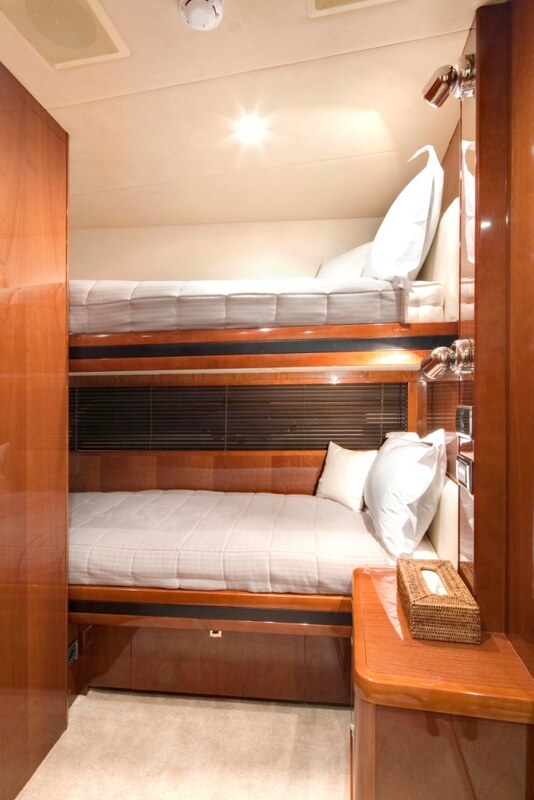 The staterooms are uncluttered, fresh and calm, and make thoughtful use of natural light. 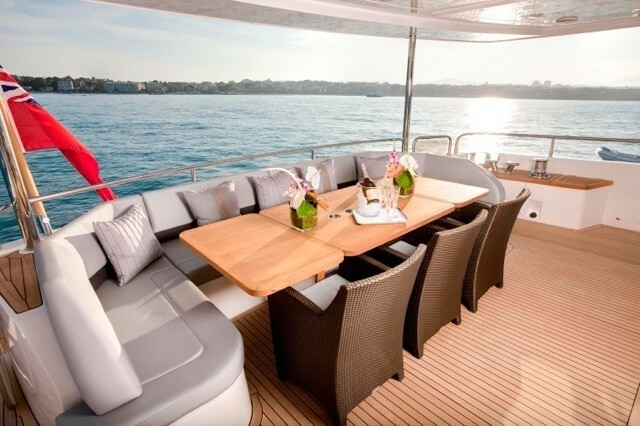 The vast fly bridge offers a perfect location to unwind and relax. 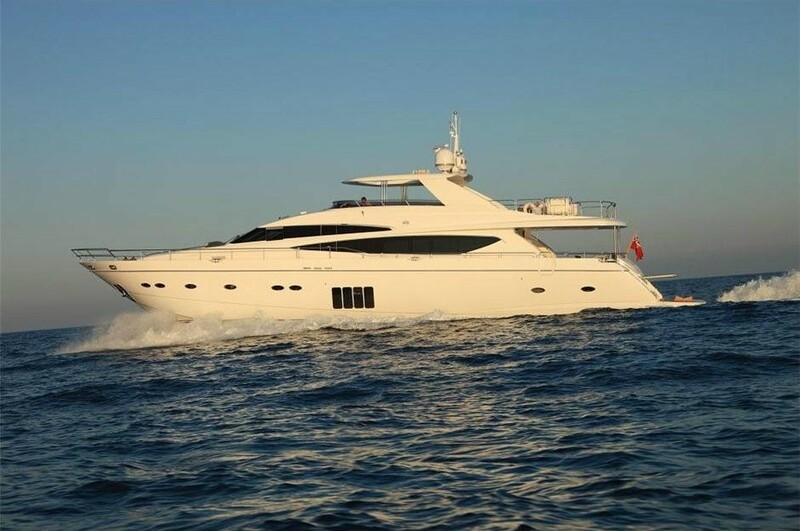 As well as hosting an excellent helm position, this is an elegant arena for entertaining, equipped as standard with a large U-shaped seating area, broad sun pads and a fully equipped bar. 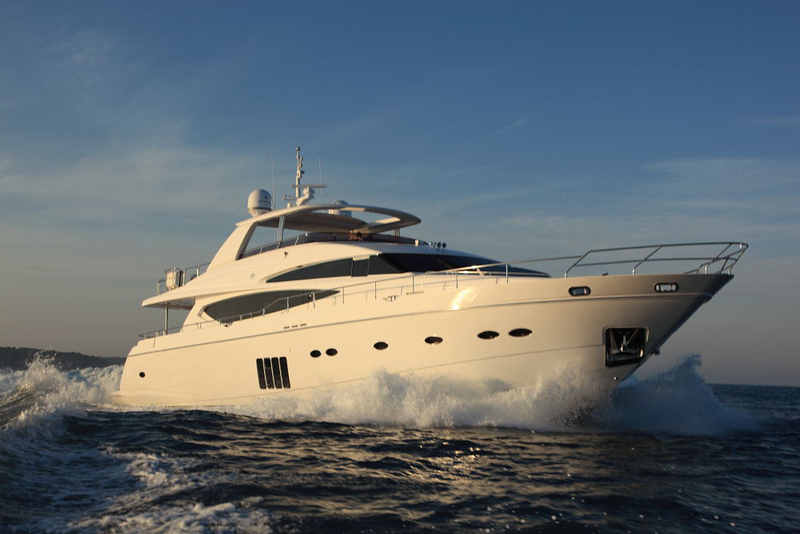 With meticulous attention to the finest of details, the fluid bend of contemporary refinement and an effortless cruising capability, the Princess 95 motor yacht LIVERNANO is the perfect charter yacht. 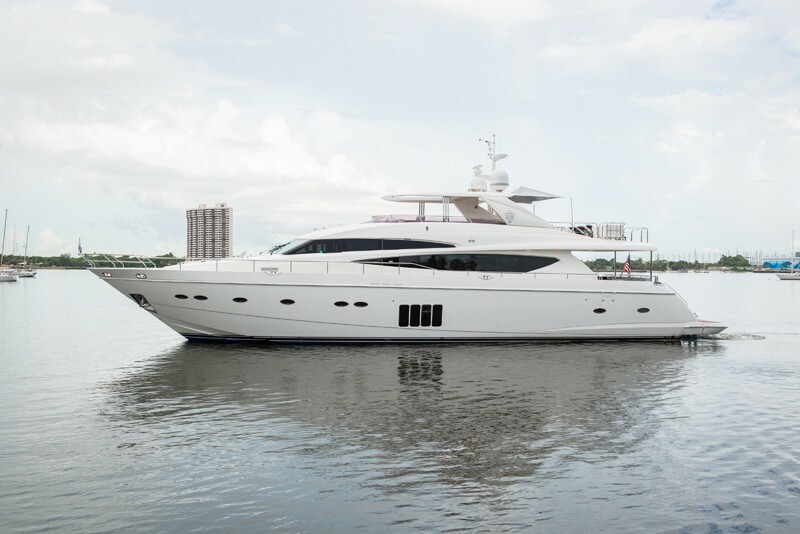 She is available for charter in Florida and the Bahamas. 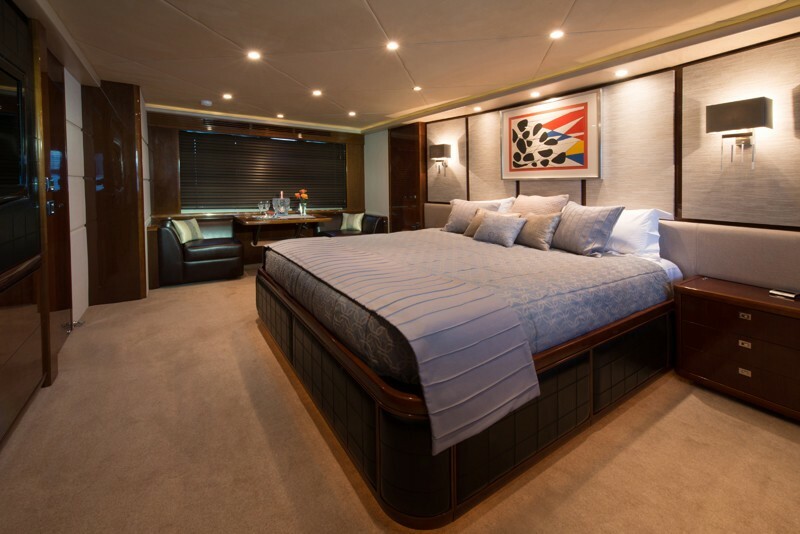 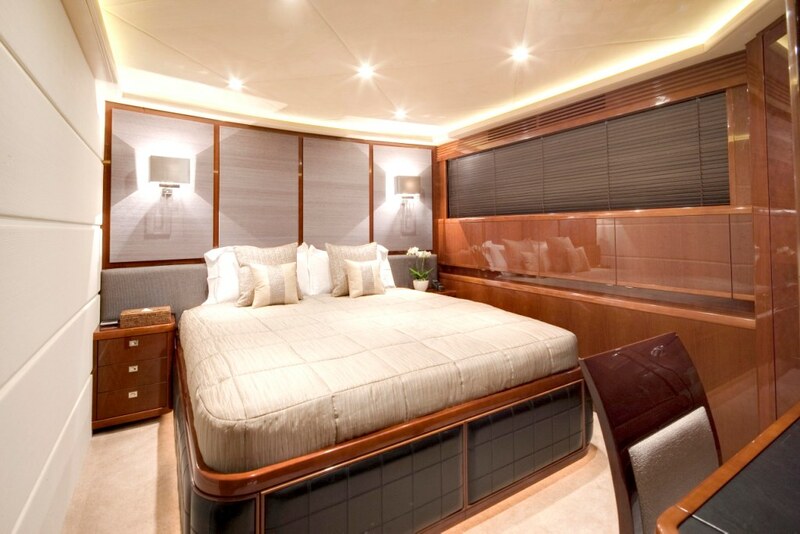 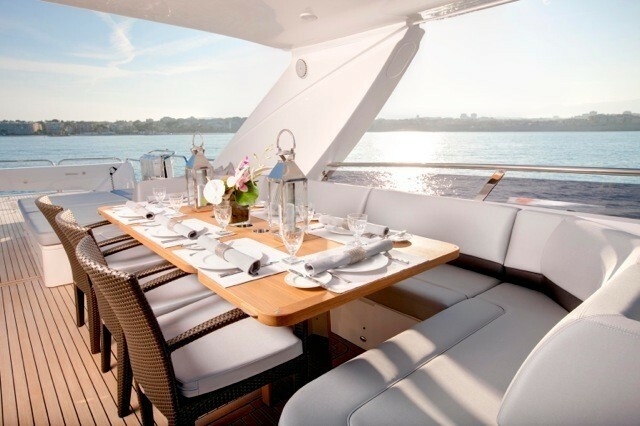 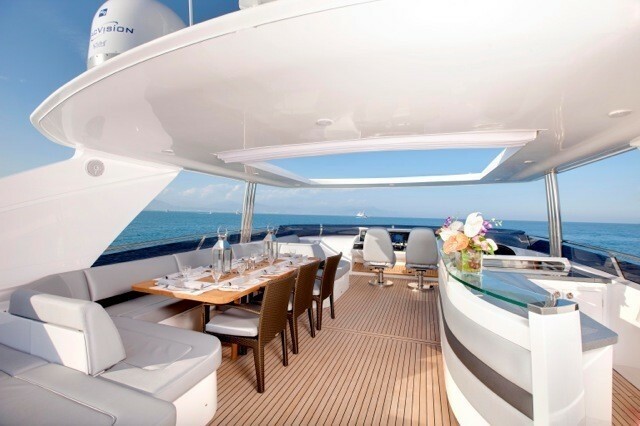 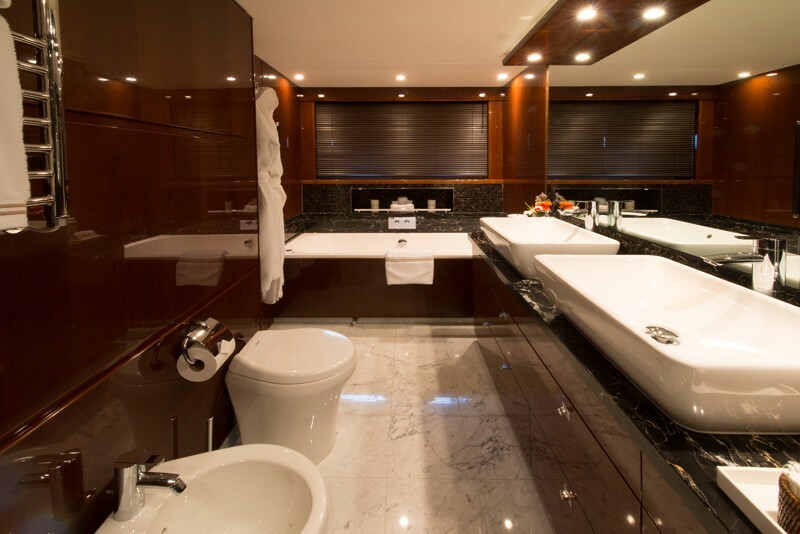 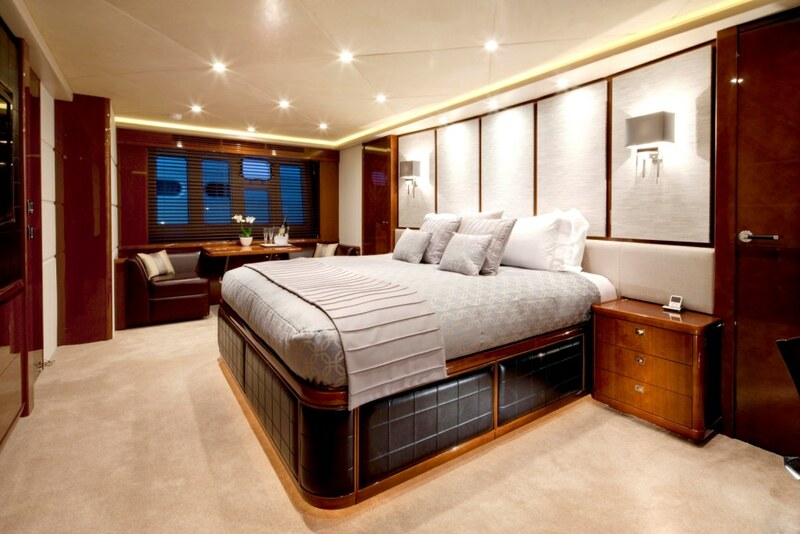 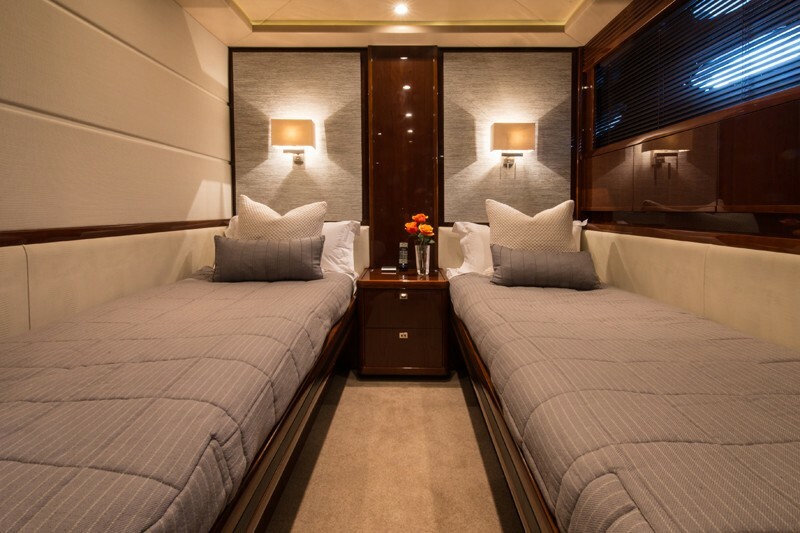 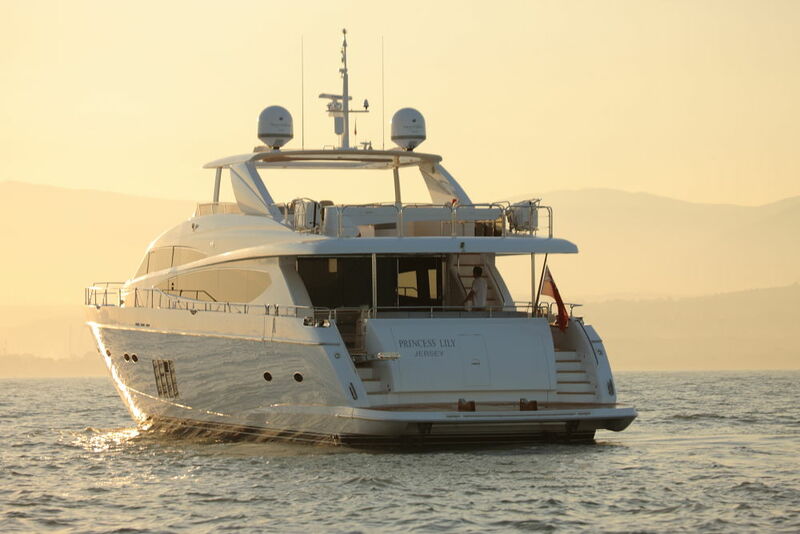 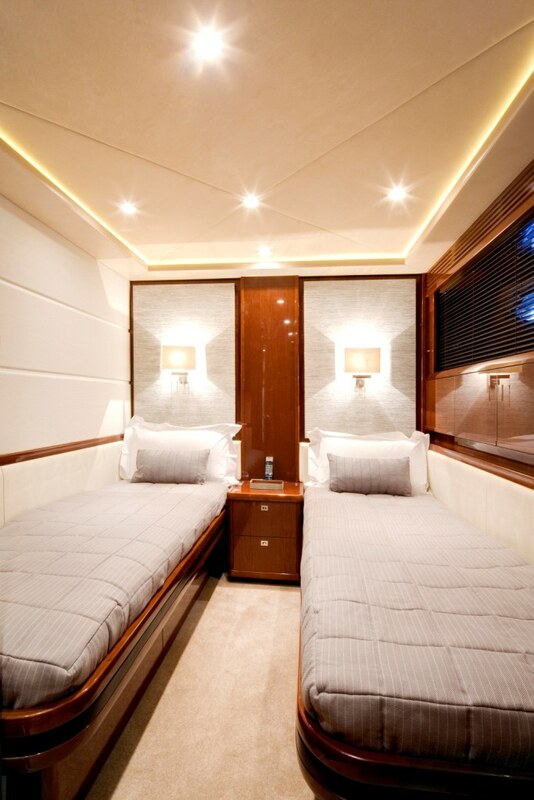 Luxury motor yacht LIVERNANO can accommodate up to 8 guests in 4 cabins located below decks including a Master king size stateroom, a VIP king size cabin, a Double cabin, and a Twin cabin with lower beds. 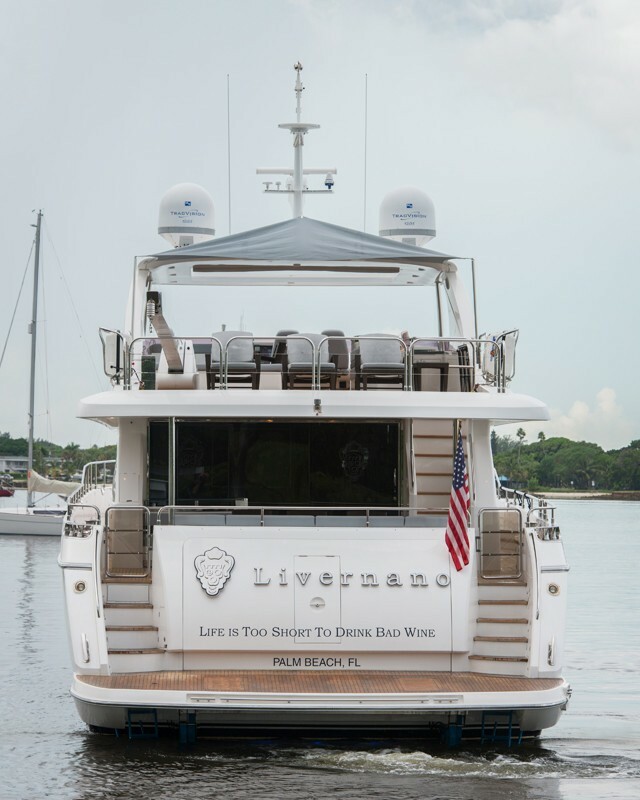 LIVERNANO (ex PRINCESS LILY) has the following Tenders & Toys 15' Novurania fishing tender with a 60HP Yamaha outboard, 3-person SeaDoo GTX 260 Limited Wave Runner, Snorkel gear, beach toys, and a great selection of water skis, wake boards, and other towables. 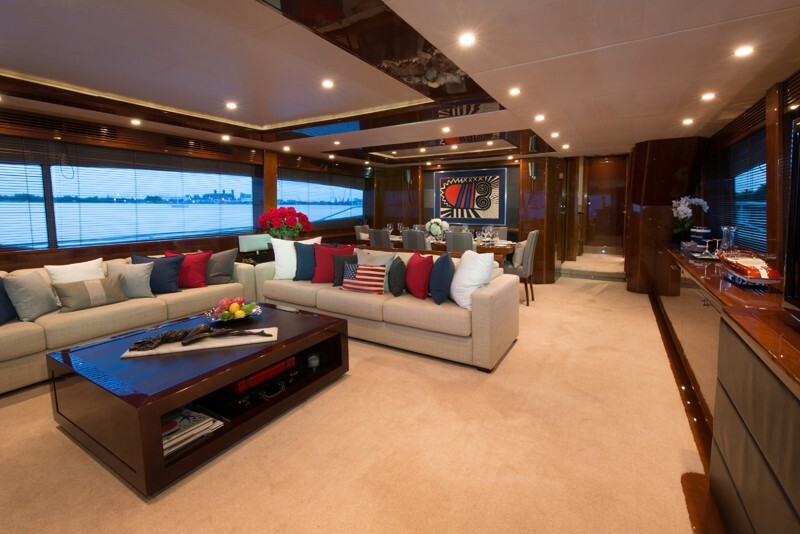 Audio Visual Equipment and Deck Facilities DSS Satellite in guest Cabins, Main Salon, and Pilot House, Bose Surround Sound System throughout, with Apple AirPlay to wirelessly stream your music collection, Playstation, Wifi throughout the yacht, HP Envy printer 120 with wireless printing capabilities.